Costa Rica is a natural paradise, where there are a big offer of lodging in different areas, even we have some small boutique hotels, we also have beautiful and high quality resorts. 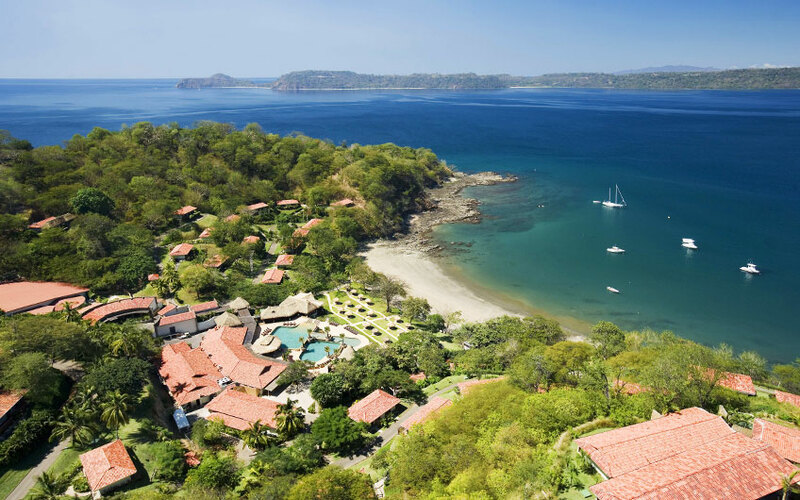 There are plenty of 5 star hotels in Costa Rica, but nothing like the Resort Hotels to have the best for a family vacation; these are some suggestions you can find in our country. Location: exclusive area of Escazu, across from the Multi Plaza Shopping and Entertainment Center. At Real Intercontinental Hotel & Club Tower Costa Rica, you can taste glorious food with the multiple gastronomical choices, plus near San José, visitors can find numerous tourist places like Valle de Orosí, active volcanoes Irazú and Poás, but also it will be ideal for mixing business and leisure considering the location. The area where is located is one of the best and more exclusive places of San José Costa Rica, you can easily have access to high quality gastronomic places. It is also close to Juan Santamaria International Airport. 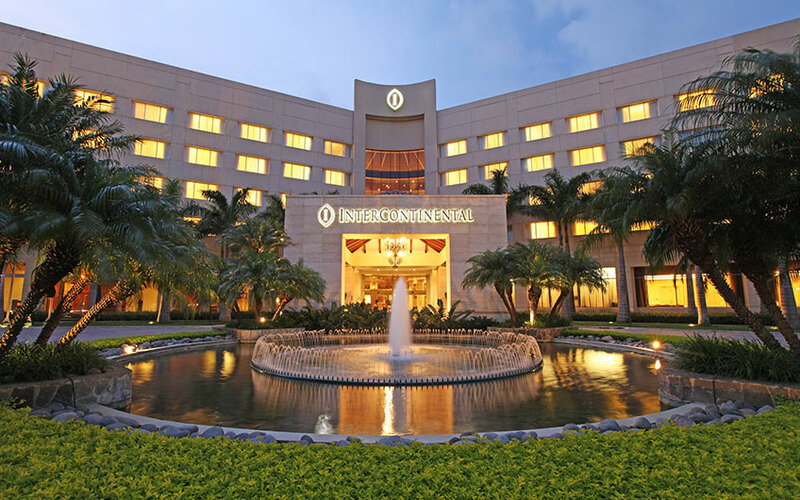 Condé Nast has ranked this hotel as one of the best hotels in Central America and Mexico. 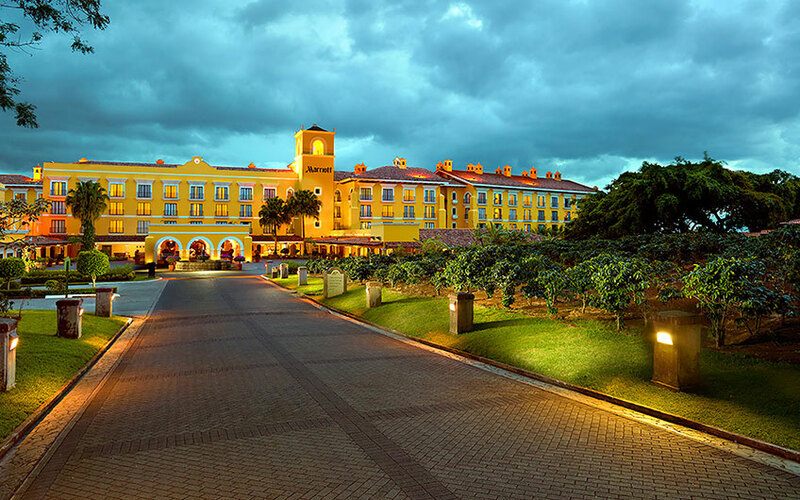 The Costa Rica Marriott Hotel is a beautiful colonial hacienda set on a 30 acre coffee plantation, with single architectures and graceful antiques. Its cuisine combine Costa Rican and international food, its spa is beautiful and it could be an option for Costa Rica family holidays. 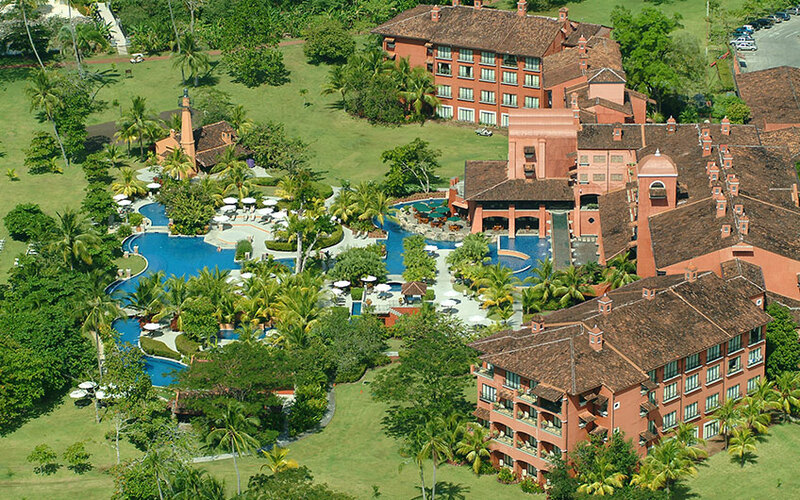 Four Seasons Resort Costa Rica is a stunning hotel in a tremendous environment. Visits to Palo Verde National Park, horseback riding trips, Guaitil pottery and Diria coffee plantation, and Monteverde Cloud Forest are some activities you can do near Four Seasons. Location: Located on the country’s northwestern pacific coast, just 5 Miles away from Tamarindo, one of the prettiest beaches in Costa Rica. 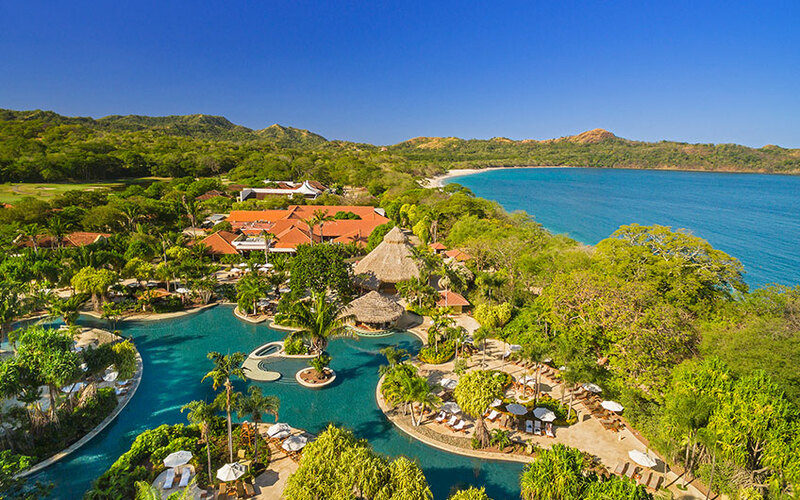 The JW Marriott Guanacaste Resort and Spa is adjacent to a world class golf course featuring the largest pool in Central America and one of the best Spas in the area ideal to enjoy during your Costa Rica family vacation. The resort is peacefully surrounded by tropical gardens all around the property. 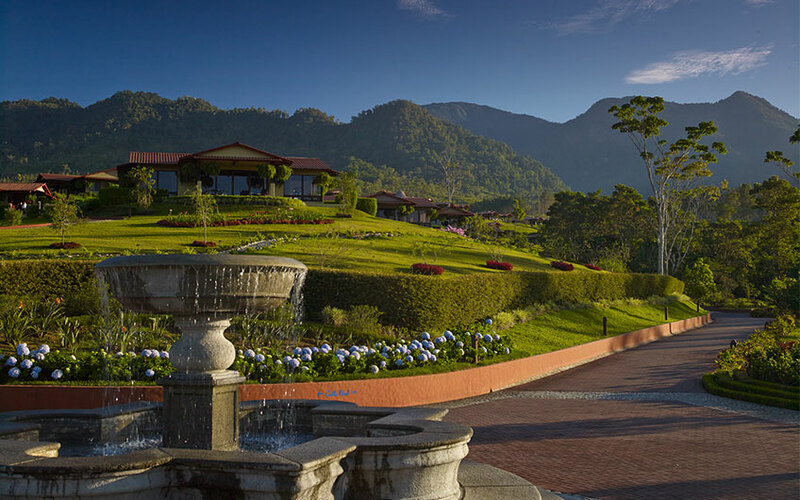 The Westin Golf Resort and Spa, Playa Conchal is an all-inclusive resort. They promote a luxurious Bali bed by the pool, treating you with a world-class cuisine and from here you have the opportunity to do adventurous tours and explore the nearby Costa Rican National Parks. 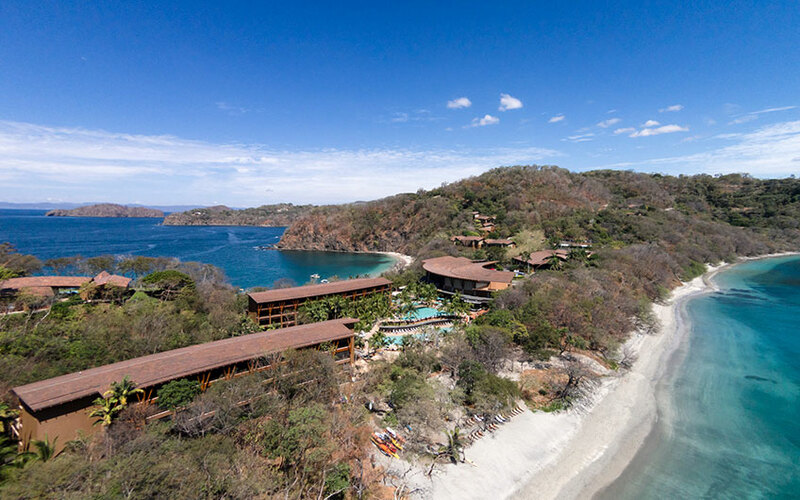 Secrets Papagayo Costa Rica Resort is an all-inclusive adult only resort, with restaurants, beachside bars, on-site activities and a full-service Spa, it has a concept of unlimited luxury all inclusive and being adult only, make it a great option for your Costa Rica honeymoon. Very close to this property, there are two beach towns called Playa Hermosa and Playa del Coco with nightlife, restaurants, bars and souvenir shops. 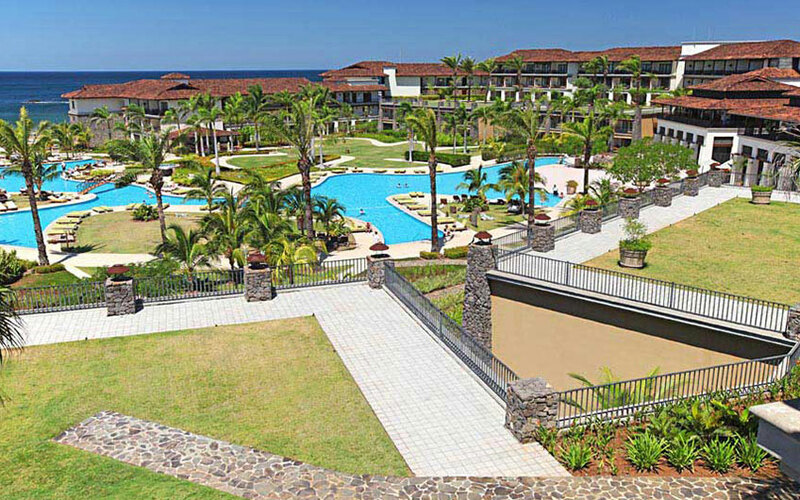 Los Sueños Marriott Ocean & Golf Resort counts with ocean and mountain view rooms and many facilities available onsite. It is considered as one of the best fishing grounds and boat charters to be found on the Pacific coast because of its spectacular marina. The Ted Robinson championship golf course offers the experience of playing golf surrounded by tropical forest on a beach area. Location: Playa El Jobo, Guanacaste. Dreams Las Mareas is one of the best all inclusive family resorts in Costa Rica, it offers an incomparable comfort and luxury. Dreams offers too many different room categories for families or couples so there are more flexibility, there are also a concept of “unlimited luxury”, and it offers different activities for all the ages. This is a high quality, family resort. 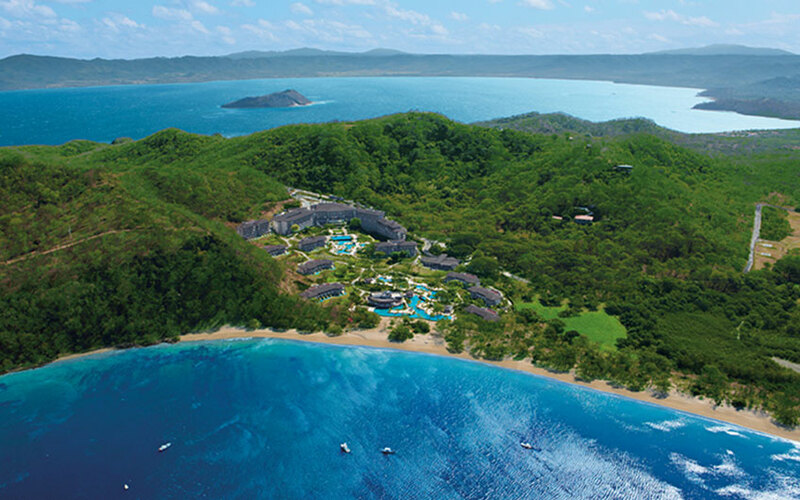 It is not all inclusive but it is certainly an option for your Costa Rica family holiday. Hacienda Alta Gracia is an exclusive and unique concept: “equestrian style”, the main attraction are the beautiful horses, but there are too much to do. Its decoration is based on stone, wood, iron and leather, very cozy and charming, even though it is a big resort. Do not forget to ask our travel advisors for the best chain resorts, so you can have a great stay during your Costa Rica vacation package. There are a lot to see and do while you are in Costa Rica, so do not hesitate in contact us, if require more information and please leave us a comment about this article.